After the project implementation was completed the cooperation in the cross-border area has continued so in 2010 (June – September 2010) the exhibition «Traditional Architecture of Hrvatsko zagorje» has been presented to the visitors of the Regional Museum in Murska Sobota (Slovenia). 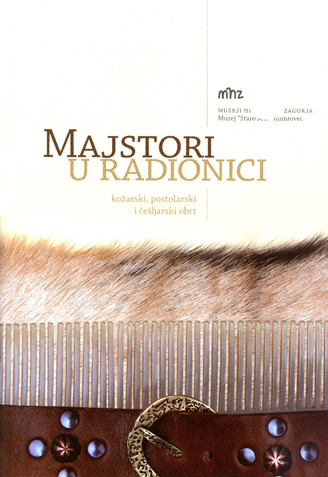 In 2011 the Muzej «Staro selo» in Kumrovec will host the exhibition of the Slovenian partner, the Regional Museum of Murska Sobota, titled: ”HA, the Soul was Artistic”. It is a story about Hašaj Adolf, a potter from Kuzma and three generations of the Hašaj family from Moščanice. The project continues and new activities were drafted for the application made for the new call of proposals announced by IPA Neighbourhood Programme with Slovenia. The project was made together with the cross-border partners. In cooperation with the Craftsmen Chamber of the Krapina Zagorje County and with the support of the County and the Ministry of Commerce the Museum is preparing the book on traditional and artistic crafts. Besides historical background and current initiatives in the Krapina Zagorje County the book lists activities that can be used as strategic guidelines for the future development of crafts. Cooperation with the Tourist bord of Marija Bistrica in drafting the concept of the future Museum of Wooden Toys Consultations done with the gingerbread workshop Brlečić in ordert o implement the permanent exhibition about Gingerbread Making. 1. Poster exhibition, Orenburg University, Orenburg, Russian Federation, July 2009. 2. Poster exhibition, Museum of Sarajevo, Sarajevo, Bosnia and Herzegovina, September 2009. 3. Poster exhibition, BAM meeting – National Library, Sarajevo, Bosnia and Herzegovina, October 2009. 4. Exhibition in the Etnographic Musuem in Split, May – June 2010.